It ain’t Christmas but it might feel like it over at BookGlutton HQ: all through the month of April, the large square ads on BookGlutton.com are HALF OFF! It’s a great deal. You send us a 250 x 250 image or, heck, we’ll even design it for you, and then in under 48 hours it’s in the site ad rotation. What does an ad cost? Can you give me more info about BookGlutton? For more information or to sign up, check out our ad page, or get to it at any time under “Advertise” in the footer. 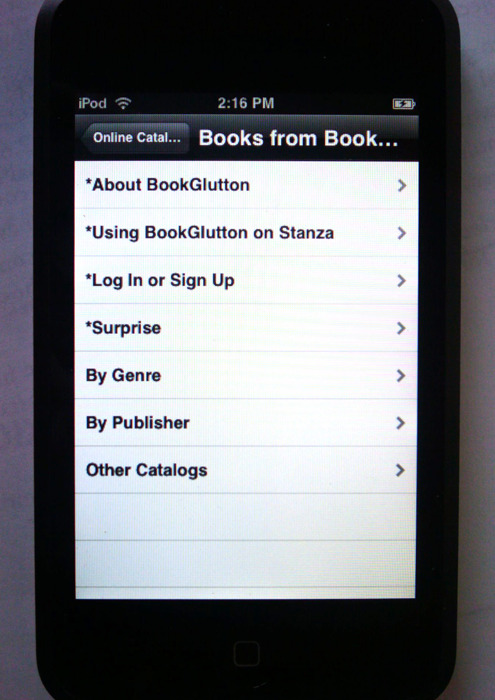 We’ve tricked out the BookGlutton content feed for Stanza! 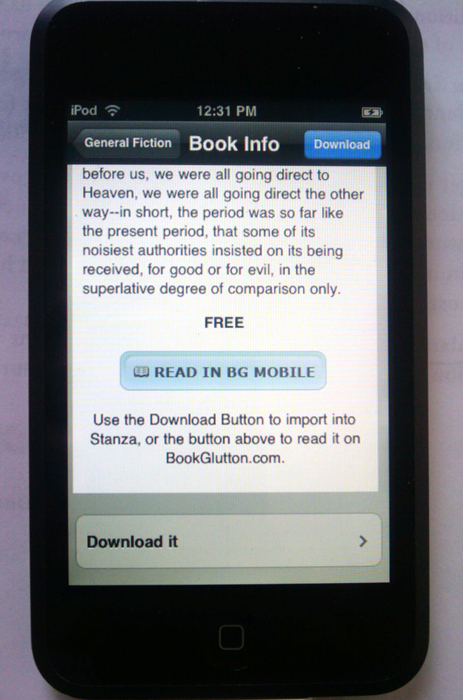 Check it out on your iPhone by downloading the Stanza App and going to Online Catalog > Books from BookGlutton. Drilling down through the catalog to a Book Detail Page shows off the new design. 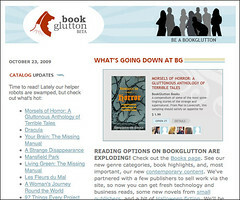 Now you can tell how many times the book has been read on BookGlutton (Opens) and how many people have checked out the Detail Page on BookGlutton.com (Views). We also touched up the design to have more emphasis on cover art. Scroll down to get detailed information, like a longer description, as well as the option to jump out to the BookGlutton.com mobile site. It opens in Safari, right inside Stanza! 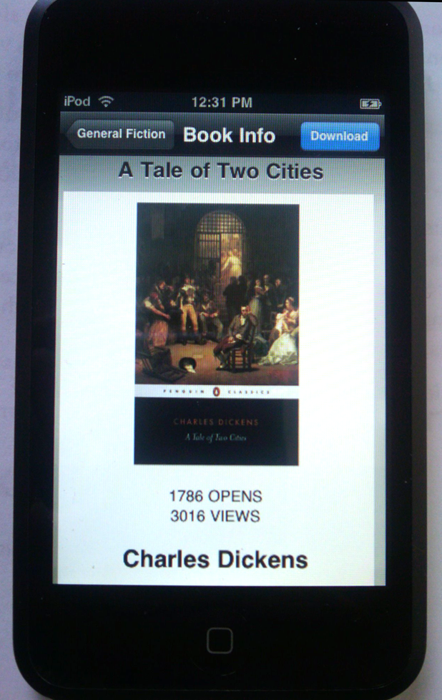 If, on the off chance, a publisher hasn’t cleared something for download, you can still access it inside Stanza – it just opens it via the mobile site right here. For most books, Stanza’s built in functionality is the norm, though, and you can download the title, just like you always have. The new catalog arrangement now has the ability to find books by Publisher, as well as by Catalog. “Catalog?” you ask? Well, yes. The Unbound Reader on BookGlutton.com allows you to import from additional catalogs, so you can now do that here as well. Moreover, the Genres now match what you see on the BookGlutton site. Finally, don’t forget the Surprise Me link! Miss the January Newsletter? Read it HERE. Last month we introduced the mobile site, as well as updated you on recent press happenings, new books and helper videos. Stand back! We just launched a whole slew of ebooks from Girlebooks on BookGlutton.com. Laura McDonald, owner of Girlebooks, is offering some nicely edited collections of classics as well as a number of originals. Girlebooks aims to make classic and lesser-known works by female writers available to the masses – you can read a ton of them on BookGlutton. So start a group, embed the widget, enjoy the good stuff! Brand New EPUB CONVERTER Released! Over the last year we’ve released several iterations of our EPUB Converter. 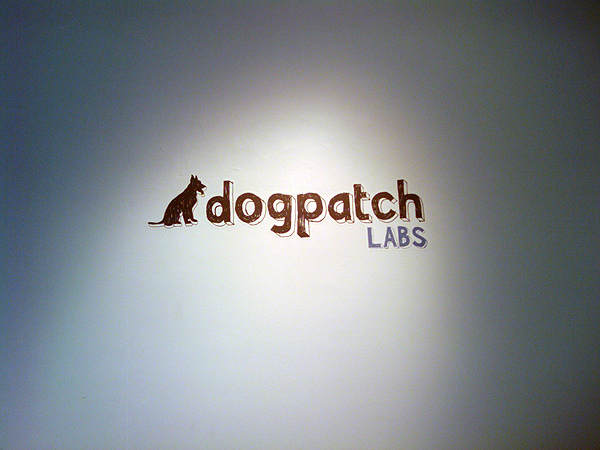 At first this was a side project – we updated it when we had a chance (which wasn’t often). But then we noticed something: people used it. Actually, a heck of a lot of people used it. Every day. This was encouraging and we were glad to give something back to the community. After all, getting things into EPUB format wasn’t easy and we wanted to help, not to mention encourage people to upload work to our own online EPUB Reader. We also noticed something else – people uploaded a million different permutations and got mixed results. So we made a decision to rebuild the EPUB Converter. To give it more guidelines and more documentation. To spend time making sure it worked correctly and that we could support it. This is what we’ve launched today. Now all you need is your book in .html format and to use our index file. Well, that and to follow a few easy steps. Start with a folder that contains your book in html format. It can include up to 4 MB of images. Save each chapter as a separate .html file – not required, but easiest. As you save these .html files make sure their formatting is set to XHTML 1.1 (Dreamweaver > File > Convert > XHTML 1.1). To avoid getting question marks in your files, make sure they’re set to UTF-8 (Dreamweaver > Ctrl + J > Title Encoding). Download our example file and use that index.html file as a template for your own by copying it into your folder. It includes detailed instructions about how to modify it – put in your own title, author, description and more. Create the table of contents using the default list in the index file, again following the comments. When you’re done, test the index file in a browser, then zip up the folder and upload. There are plenty of advanced details on the Converter Page as well, but the above instructions spit out a decent EPUB file. The great thing about this is you don’t need to be a digital book expert or even a developer; if you have the ability to make a webpage you can make an EPUB book. And there are a lot of people that know how to make webpages. Put in good html (following the guidelines above) and you get a good book. Simple. In addition we’ve built in validation. Developers know validation is important, but in layman’s terms validation gives consistency across epubs, and makes sure people who are building Readers know what to expect. With your feedback we’ll continue to refine the Converter, so let us know what you think. You can find the Converter here.